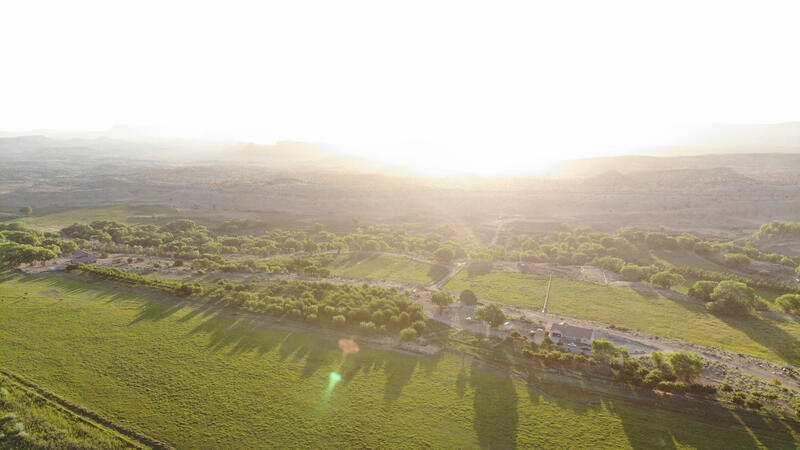 "This 204 acre oasis in the middle of the red rock is known as the Durfey Ranch. This remarkable homestead boasts 660 apple trees, 50 apricot, 25 almond with pastures for grazing cattle and cultivating crops. The water is of utmost value being primary share from pleasant creek from April to November. Buyer to verify all."